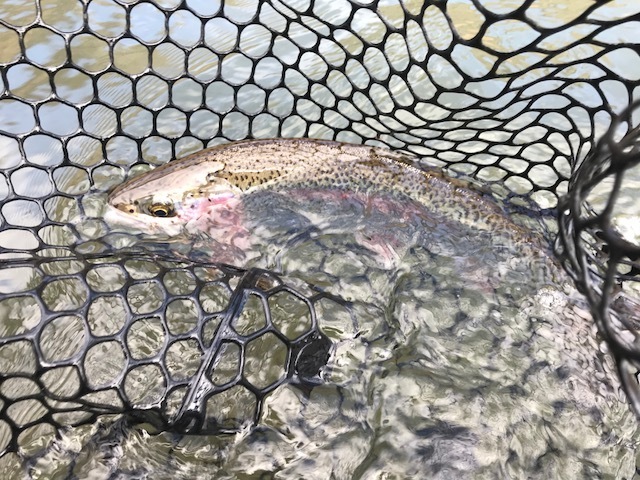 The dry fly bite has been solid this past week, and it looks like that trend should continue through the weekend. Olive Chubbies, Bullethead Skwalas, and Skwalameisters in #10-12 have all been putting fish in the boat for our guides over the past several days, with some fish picked up nymphing Pat's and San Juans in the mornings before the bugs get going. This is a finicky hatch, so the sooner you can get out on the river the better; if you wait too long you just might miss all the fun!